Get our recommendations for the best yoyos for this holiday season. 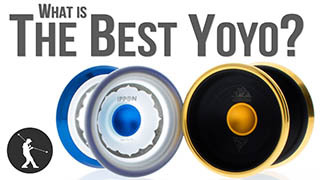 See the most recent Buyer’s Guide Video, the 2015 Yoyo Buyer’s Guide. One of the most common questions that we get asked is, “What is the Best Yoyo?” While we feel like we have a pretty good answer to this questions, the answer really depends on you. What type of yoyoer are you? Are you just getting started, are you into more advanced tricks? It also depends on how much you want to spend. 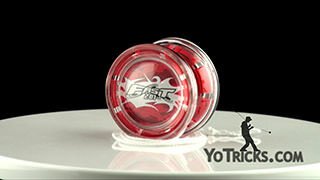 The best yoyo for you, if it is too expensive for you, then it is not a good yoyo for you. In this video we are going to give you five recommendations, so we can help you find the best yoyo for you. Now obviously calling something the best, it is really just a matter of opinion, so these are our opinions of what we think is the best yoyo on the market right now for you, depending on – like I said – what kind of yoyoer you are, and really how much you want to spend. As we are going through this video, and we are making recommendations, if you are watching this on youtube, you can just click down here. 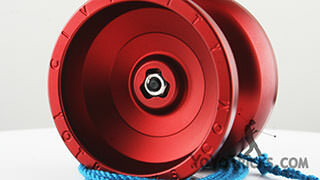 We will have some links pop up as we talk about the different yoyos. You can use those links to see those yoyos. On YoTricks, if you want to look below the video, we have the video transcript, you can bring that up and you can find the links in there to everything you are looking for. 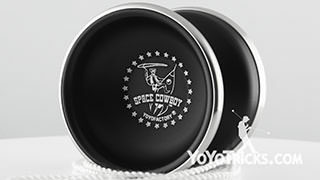 If you are new to yoyoing, before we get to the five recommendations, we want to mention that any time you get a yoyo it is a good idea to get 2 things. You will want to get some extra strings because strings on yoyos do break and they can be replaced. You will also want to get some yoyo lube. 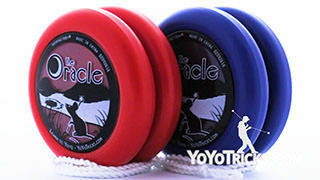 Every yoyo that we sell, except maybe one of our beginner yoyos, every yoyo needs lube. This is because yoyos have ball bearings, and ball bearings need to be lubricated or else they will wear our very quickly. There are two kinds of yoyo lube, there is thin and thick, which are different depending on what type of tricks you are going to be doing with a yoyo. What we have done to simplify the process, is for most yoyos we have made kits or packs that include lube or strings and other items to help you progress as quickly as possible. 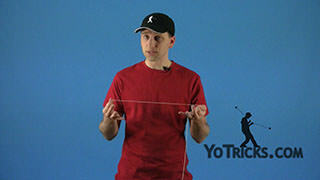 So once you have settled on a yoyo you can see if we have a kit or pack for that yoyo and you can check that out. 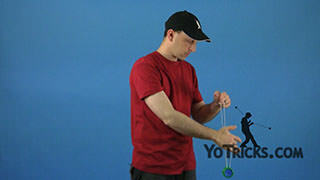 One more thing that I do want to mention before we get to the five yoyos is that we are only talking about one-handed 1A yoyoing. 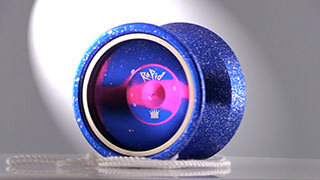 There are actually five different styles of yoyoing, we are only going to talk about the first one. 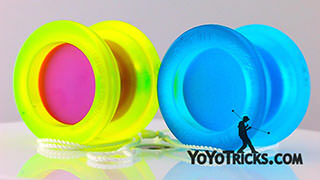 If you want to know what we recommend for all five styles, just go to YoTricks, and go up to the menu where it says Yoyo Tricks and click that. It is going to take you to a page that describes all five styles, and we give one recommendation per style for what we think is the best yoyo for getting into that particular style. If you want some more recommendations you can also go over to the shop and in the menu we have Yoyos by Play Style and if you go to the starter menu in that particular menu then we have more recommendations for each play style. These are yoyos to help you get started. These will vary by price, and also in the way they look, so if you know what style you want to get into you can check that out and see what yoyos we recommend and see what yoyo is right for you. But let’s get to it. 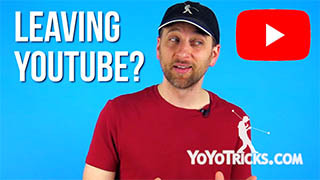 If you are an absolute beginner, this is someone who has never ever yoyoed before, or maybe you have yoyoed before but have completely failed, then we feel that the best yoyo on the market for you to help you get started learning tricks is the Fast 201. 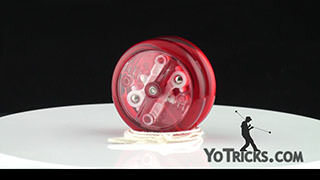 The reason why this yoyo is great is not only because it is really easy to play with, it sleeps a pretty long time for a beginner yoyo, but it also has the mechanisms on the inside of the yoyo. If you take the yoyo apart, you will see that it has these little teeth on the inside, these are starbursts, fully active starbursts, and what those do for you is they make it a lot easier to do the basics. This includes winding the yoyo up, getting the yoyo, when you throw it, to come back to you. 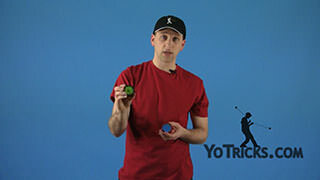 We totally recommend this yoyo because the basics can be some of the hardest tricks to learn, and it is often the hurdle that keeps people from getting into yoyoing, they just can’t do the most fundamental stuff. Once you learn the fundamentals the tricks actually become a lot easier to learn, so it is not a bad idea to have a really solid beginner yoyo and of all the beginner yoyos around, the Fast 201 is simply the best way to go. Again we have a pack for this that includes some other things like extra strings that will help take you even further, even faster. The next type of player, this is someone who has yoyoed before, but never really learned tricks. They can get a yoyo to go down and to come back up. They can get a decent sleeper, but they have not really progressed beyond that. 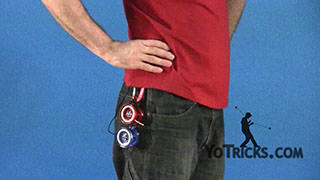 If you want to get a yoyo to help you get started learning tricks, what we recommend is the YoTricks Edition ONE Yoyo, specifically what we call the Unresponsive Kit. This is a kit that includes a couple different items. Now the reason we recommend the kit is because it is really going to help you from really being just a beginner to get you into more advanced tricks. The way the ONE yoyo comes when you get it, it is very easy to play with, it just works the way you would think a yoyo should. It sleeps a pretty decent amount of time, and it is good for learning all your basic tricks. 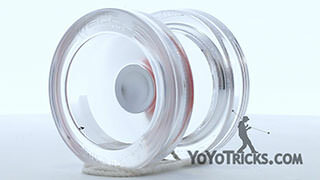 With the Unresponsive Kit, once you have mastered the basics, and you have started to learn how to do a bind on a yoyo, then you can upgrade the bearing, and we have also included the right type of lube for that bearing, and then the yoyo suddenly becomes an advanced yoyo that can do the most advanced tricks. 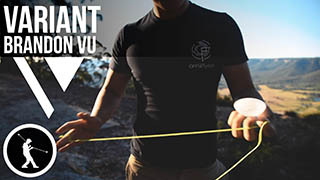 It is probably the least expensive way we know if that you can get a yoyo that is really solid for getting started, but can also be upgraded to learn more advanced tricks. 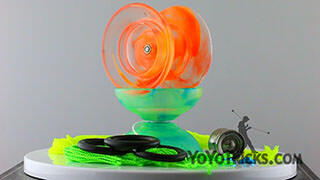 That is the ONE yoyo Unresponsive Kit. These next three yoyos, the only thing that differentiates them (in terms of the type of player who should be interested in buying them) is the price. 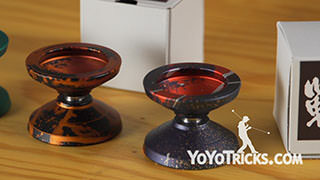 Also expect, if you are going to be interested in these yoyos, these are for more advanced tricks. You should already know how to do a bind. If you don’t know what a bind is, you probably aren’t ready for these. You can checkout the bind trick and see if you can figure that out before you get these, because these yoyos, they won’t even come back unless you know how to do that trick. 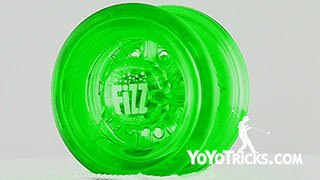 When we get into these yoyos, these yoyos for more advanced tricks, if you want to spend less than $25, then the yoyo we recommend is the Flipside. And the Flipside, it is a plastic yoyo, it is a really solid, time tested shape, it just plays great, the weight is really nice if you are starting to get into these tricks. But the thing that really sets the Flipside apart, is that the bearing that it comes with is a KonKave bearing. That bearing allows this yoyo not only to spin for a long time, but it plays super smooth, and really great, and really outperforms its price because of this unbelievable bearing. 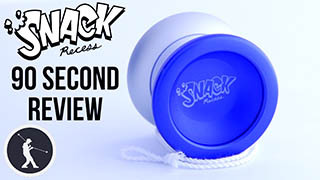 At $20 it is really a bargain to get this yoyo, and we are pretty excited about it. If you want to spend less than $25, this is just a great way to go. We do not have a kit for this yoyo because, if you get thick lube, the yoyo will play more like a beginner yoyo, if you get thin lube it will play more like an advanced yoyo. If you want this for advanced tricks, we recommend that you pick up some thin lube. You can also get thick lube if you are just getting started, you can get both kinds of lube, and then the yoyo – kind of like the ONE yoyo Unresponsive Kit – it can do anything. It is a really fantastic option, at a pretty low price. 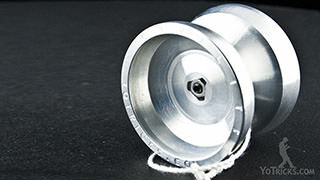 If you want to keep under $50, the yoyo that we recommend is actually new to the market. It is called the Shutter, and this one has really taken the yoyo world by storm. 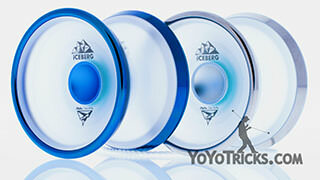 It just came out recently, but it has already won the 2013 national yoyo contest. 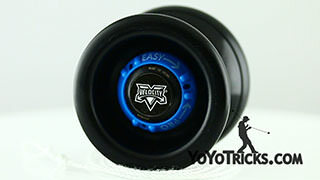 It is just unbelievable that a yoyo at this price is winning contests like that. We have been playing with it ever since we got it, and we absolutely love it. 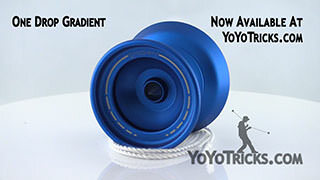 It is just, it is a great metal yoyo, so if you are looking to spend under $50 there is simply no yoyo now that we recommend higher than the Shutter. Now if you are asking me, Adam, I really don’t care about price. I just want to know, what do you think is the best yoyo, bar-none for advanced play? What can you tell me? Going through all the different yoyos that we have used, and really trying to figure out what yoyo has that X-factor, the one that we just keep coming back to is the Genesis with Hubstacks. 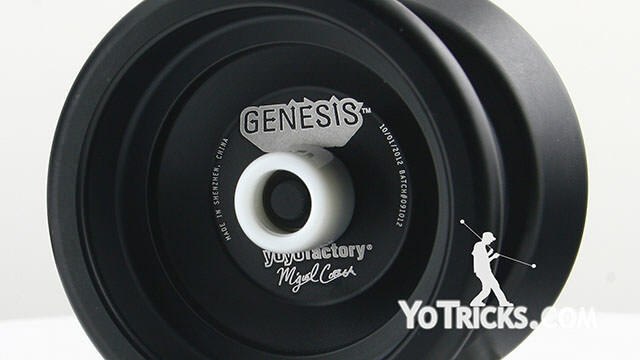 The Genesis has been on the market for a pretty long time for a metal yoyo, and that is because they really just got it right. Every year they just kind of refine it and refine it and make it just a little bit better, and a little bit better. With the Genesis with Hubstacks they seem to have really hit the nail on the head. 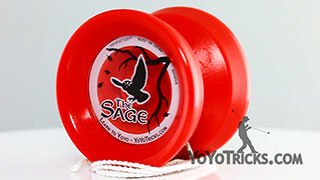 This is the best version of this yoyo that we have tried. It is not just great for normal tricks, it is also great for doing grinds, and things like that. It really does not slow down too much when you get it on your hands like that, which is pretty cool. It also has hubstacks which allow for all different kinds of tricks, which can be fun in and of itself. 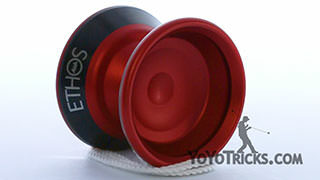 This yoyo would be great even without the Hubstacks, but with those it really just puts it over the top. If we had to say there is one yoyo, no questions asked, that is our favorite yoyo on the market at this moment, the Genesis with Hubstacks really takes the cake. We know that there is always going to be a variance of opinion concerning what is the best, but right now we feel that if you get one of these yoyos, the one that is right for you, you are just going to be happy with it. Again, we definitely recommend you check out the packs and kits if we offer those. Definitely get some extra strings, we sell them by 10 or by 100s, so if you are really going to get into it you may as well get 100 strings. 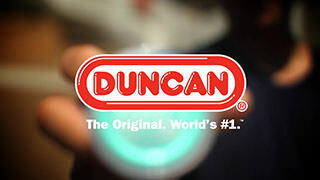 Definitely get some lube if you do not have some lube, because that will help your yoyo last a really long time. All of these yoyos are pretty durable for what they are good for. They will last you for as long as you need them to, before you are ready to upgrade to the next one as long as you lube that bearing. That is our recommendations for the 2013 holiday season. Enjoy!